An unexpectedly terrifying film, The Hunt is an interesting interjection into the discussion of abuse by director Thomas Vinterberg. Proving, as others have already commented, to be incredibly well-timed, considering world events, The Hunt follows teacher Lucas (Mads Mikkelsen) as his life spirals out of control following an accusation of sexual abuse by a pupil. Quite how that spiral starts proves to be the main problem in a film which, though excruciatingly good, is not short on blindingly obvious problems. As Klara (Annika Wedderkopp) is led into accusing Lucas of a heinous crime, a cavalcade of witch-like teachers, led by Grethe (Susse Wold), forms against him. Grethe talks of 'doing things by the book' and allowing the authorities to conduct a reasoned investigation, but actually does anything but. Grethe is lazy writing personified. She enables all of the events in The Hunt to happen and then disappears during the second half, literally, at one point, running away from Lucas and the story. A similar problem crops up late on when writers Vinterberg and Tobias Lindholm use an emotionally manipulative device that even Hollywood has started to shy away from. Despite these, mainly story-related problems, it is testament to Vinterberg that The Hunt remains compelling, building a gnawing sense of injustice and social comment which form a potent mixture of emotional resonance and formal critique. As Lucas and son Marcus begin to suffer not just emotionally but physically, The Hunt dramatises the concept of conviction and trial by public, aspersion and innuendo. It misses the jugular of today's society only by never showing us a shot of a camera crew camped outside Lucas' house. Winner of Best Actor at Cannes, Mikkelsen is more than impressive in the lead. Save for, perhaps, Denis Lavant in Holy Motors, it is difficult to think of a better performance all year. Lucas is a believably repressed and quiet divorced teacher, in a small town with small friends. When accused he retains those traits. In other hands, Lucas would suddenly become widely irrational, loud and outwardly combative. 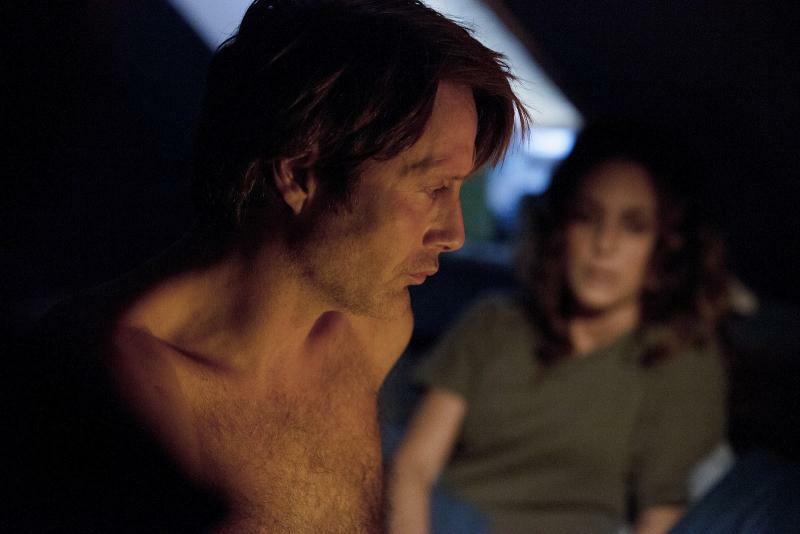 Mikkelsen's retention of the character throughout The Hunt's varied and soul-destroying plot is a masterclass. In a good year for Danish cinema, The Hunt lost out on the country's long list nomination for Best Foreign Film at The Academy Awards (it went to A Royal Affair, also starring Mikkelsen), which will no doubt feel like a blow to Vinterberg and the team behind him. In a way though, it is an entirely accurate summation of where The Hunt should sit. This is an excellent work, and so nearly awards-worthy, but the reasons why it is not are equally as apparent as the reasons why it is, led by the gravity and brilliance of Mikkelsen, fighting against an occasionally flawed narrative. The 26th Leeds International Film Festival runs from 1st November to 18th November at venues around the city. Programming includes several UK premières, the popular Night Of and Day Of The Dead and a selection of competition films in the Official Selection.